OK everyone, Welcome to Season 5 ! Please take 2 mins to read through this, the first briefing is probably the most important ! We have a few new drivers, so if you can help them out where needed, invites to prac rooms etc, would be appreciated. All the standard stuff remains as it always had, track limits and race room etc. From the prac rooms we have had so far, this car will give some great pack racing, with some really easy regs for a change. As you would have seen in the regs above, there is NO compulsory stop, only 1 type of tyre to use, and its so good on fuel that it wont be an issue. Basically, everyone can run flat out all race. Also thanks to PAGNIAN for providing the prizes for the last season of the year, 2 x Wheelstand lites valued at $199 each ! ROOM OPEN : Most room captains will 'try' to have rooms open by about 7:50 EDST. Please be on time, or let the room captain or div thread if you may be late. If all agree, the room may wait for you, within reason. Please remember we have drivers from NZ, and later starts mean a much later night for them. TRACK LIMITS : Track limits will remain as they always have, you must have 2 wheels on OR inside the ripple strips at all times. Make a mistake or 2 and thats ok, but making CLEAR advantage from cutting the track will see you penalised. If you do it consistently, you may even be DSQ from the race. Is a few places here where you need to remain inside track limits. - TURN 5 CHICANE - drivers must not straight line ! - TURN 7 CHICANE - drivers MUST keep 2 wheels (or make a clear attempt) on the ripple strips. Drivers making clear advantage here will be penalised. - TURN 10 CHICANE - Same as above ! COMPULSORY PIT STOP : Not required EXCEPT for the dry to wet round and the enduro. If you havent done pit stops before though, make sure you know where each track control line is just in case. CAR SET UP : There are 2 options for car sets up that people can make. 'LOOSE' or 'STABLE'. It is up to you what setting you use, and it may vary based on the track being used. I would recommend trying both to see what gives the best lap times. PIT ENTRY / EXIT : We will be running with Pit penalties ON, so will need to make an attempt to enter and exit using the pit lane lines. We have seen people hit with warnings in game, so be aware of staying in the lane. DONT FORGET TO MAKE SURE YOU ARE AT 60KLMS AT THE PIT ENTRY LINE OR YOU WILL GET DSQ FROM THE RACE IF YOU GO IN TOO HOT. STEWARDS GROUP AND RACE PROTESTS : This season we will doing any protests just on our own platform. The stewards group will again consist of Myself, Ad2mny and Gary... if you feel the need to protest, you need to make us aware by PM before midnight Monday following the race. You will also need to have Video evidence of your protest, or ask the room host to have a look on their replay. You may appeal any stewards decision, and the final decision will be made by Koastr. If there is an issue in the race DO NOT BLOW UP IN THE ROOM OR ON THE FORUM. Spidey_11, Woody, xlxy90 and 2 others like this. SUBGTRACER and stucar17 like this. DRIVING STANDARDS - Round 1 was overall pretty good, we had no protests, however there was some questionable contact, and passes in 2 of the rooms. REMEMBER, you MUST make as much effort as you can to avoid contact. - THE START ! If you get a cracking start from the mid pack, you still have the responsibility of getting through clean. If someone bogs down (turning off auto clutch helps with this) you need to be prepared for it. If it happens again in Div 4, we will look at a rolling start to avoid the carnage and ruining the race / night for half the field. This is a classic example of needing to redress... Contact to rear of car...pushing off track and driving past. If contact looks like this, and you dont give the spot back, expect a penalty ! Thanks to PAGNIAN for providing the prizes for the last season of the year, 2 x Wheelstand lites valued at $199 each ! ROOM OPEN : Most room captains will 'try' to have rooms open by about 7:50 EDST. Please be on time, or let the room captain or div thread know if you may be late. If all agree, the room may wait for you, within reason. Please remember we have drivers from NZ, and later starts mean a much later night for them. TURN 1 LAP 1 : Here at Snetterton, T1 is very fast, so is the real potential to run someone out of road on the left side of the track. For those on the right hand side, try to hold your line all the way to the run to turn 2 hairpin..... By then the grid should have shaken out. TRACK LIMITS : Track limits will remain as they always have, you must have 2 wheels on OR inside the ripple strips at all times. Make a mistake or 2 and thats ok, but making CLEAR advantage from cutting the track will see you penalised. If you do it consistently, you may even be DSQ from the race. There isnt really anywhere to cut here, as the big sausage curbs are in the right places to make it turn ugly really quick. STEWARDS GROUP AND RACE PROTESTS : This season we will doing any protests just on our own platform. The stewards group will again consist of Myself, Ad2mny, Gary... if you feel the need to protest, you need to make us aware by PM by midnight Monday following the race. You will also need to have Video evidence of your protest, or ask the room host to have a look on their replay. You may appeal any stewards decision, and the final decision will be made by Koastr. If there is an issue in the race DO NOT BLOW UP IN THE ROOM OR ON THE FORUM. Anthonyb, Spidey_11, Jcp and 8 others like this. Re bogging down I don't have a problem with this my start is auto clutch of(i have it mapped to a button) clutch in, 1st gear, accelerator flat light goes green off clutch as fast as possible keep accelerator flat. Never bogged it down yet. sometimes what I've done is forgot to self calibrate my clutch like the brake does after a few hits. and I get a ramp effect which bogs it. Another way to launch is auto clutch on or off, rev limiter in neutral and wack it into first as the lights go, stops you rolling forward on hill starts too. Round 3 already ! Well done to the winners and podium getters from Snetterton.... By the sounds of it was some great racing. Hopefully we have some big grids again for round 3. TURN 1 LAP 1 : Here at Donnington, The track is fast and flowing.... Lap 1 you will need to give room till the grid shakes out. Is potential for cars to run 2 wide for almost all of the first sector, so please take care to avoid contact. - double check it before you ready up for the race. SAVE YOUR REPLAY : If the room host can ask all drivers to save their replay would be good before exiting the room.....once they exit out and the option goes, it cant be retrieved ! The game only holds 1 GIG in replays or saved set ups..... if you have too many replays saved, it wont let you do any more. Ant_427, Jcp, Rebort and 3 others like this. - THE START ! If you get a cracking start from the mid pack, you still have the responsibility of getting through clean. If someone bogs down (turning off auto clutch helps with this) you need to be prepared for it. 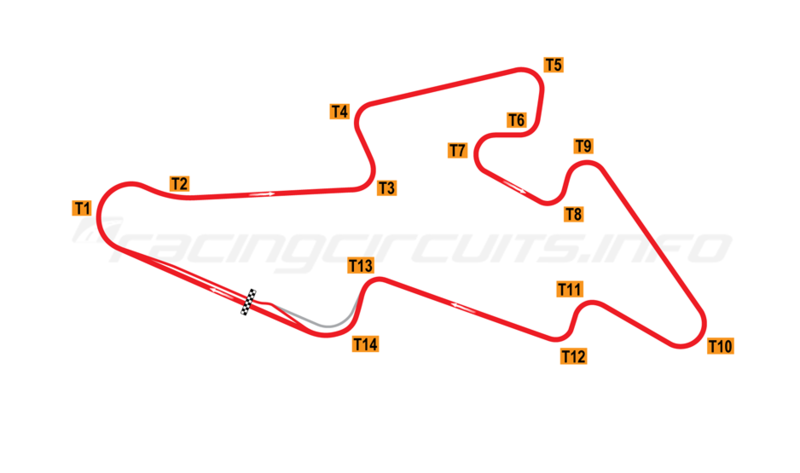 - Turns 1, 4 and the end of the back straight are the obvious places where you could run into someone. - CHICANE - Be aware that if someone gets loose in the chicane you will need to have your wits about you ! Things get hectic there pretty quick in a pack of cars, so stay awake !! Ant_427, natmanscoop, Anthonyb and 4 others like this. Some great racing last week lads (and Lady !). Well done to everyone, another week with no real issues and again, no protests. This week is the sprint round... make sure you have a quick read if you are not familiar with how this works... With the reverse grid, all drivers need to be aware that there is more chance of contact with the fast guys trying to come through the field. Just a reminder, you need to do it cleanly, and you need to keep your wits about you and give room to each other. The Brno track is the polar opposite to Sugo.... Its fast, its wide and there is a heap of lines you can run to try to get past. It really does suit pack racing, which is why we picked it for the sprint round. TURN 1 LAP 1 : its wide enough to give each other heaps of room, even 3 wide. Really no excuse for contact, but be aware of drivers checking up in the pack. Qual will be as normal, with a normal 13 lap race. Room hosts are to add an extra lap, so 14 laps.... NO qualifying. At race start (DONT JUMP THE START) all drivers will line up in reverse order from race 1. (best to have your mics on for this ) Once in order, the field will drive off, and the lead driver will stay at about 120KPH till TURN 12, where speed will drop to 80KPH. - The lead driver then has full control, and all cars should be within 1 car length. - NO PASSING BEFORE THE START LINE. 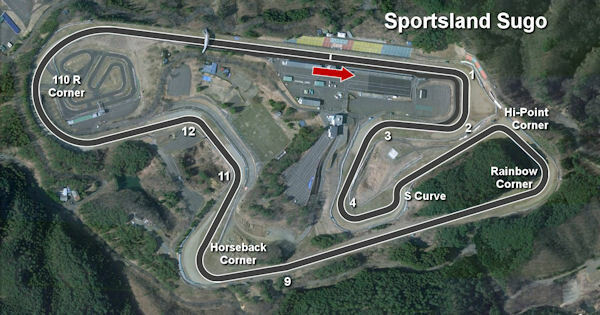 - Not really anywhere to cut other than the turn 11/12 chicane and the entry to 14 / front straight. You all know the gig. COMPULSORY PIT STOP : Not required. We will be running with Pit penalties ON, so will need to make an attempt to enter and exit using the pit lane lines. We have seen people hit with warnings in game, so be aware of staying in the lane. DONT FORGET TO MAKE SURE YOU ARE AT 60KLMS AT THE PIT ENTRY LINE OR YOU WILL GET DSQ FROM THE RACE IF YOU GO IN TOO HOT. Ant_427, garyw61, Woody and 2 others like this. Single file or 2 wide for the rolling start of race 2? micmansour and Woody like this. I am hoping there is about 3 seconds worth of drafting there! Nathan Storrier and beakeroo like this. Yeah I'm struggling to get into the 9's. Only got there a few times. Sorry this is so late guys and Gal, been a pretty hectic week..... Well done to everyone last week in the sprint round, seems there was some more great racing across the divs. Well done to all. On to Bathurst, a track i'm sure everyone would have run a lot over the years. Given how well the season has gone, i wont bore you with the long briefing other than to make the following points. sure you pick your spots to make a pass. - CONTACT can be a nightmare here as the walls tend to spit you back onto the track, especially from the cutting right through to Forrest elbow. Please make sure you can rejoin safely if you have an off. - The Dipper ..... if you get stuck here, 'try' to get out of the road of oncoming cars. Might be worth while checking you have your reset button mapped. - Track Limits - The only real spot to 'cut' is at the chase, so will ask everyone to keep an eye out there. Dont think it will be an issue, as there is more risk of spinning than making time ! Ant_427, Woody, Telum and 2 others like this.